Track your MotU collection at shmax.com! Almost Comics: Occasionally updated. Occasionally funny. Yeah, the Hot Wheels collecting is really bad. HW collectors are really greedy( some of them anyways). I mean 100 bucks for a little die cast car? These little guys are really cool but they're such a turn off with all the stupid variants, chase figures and high price tags. Some millionaire paid $1000 for a 3-inch vinyl toy. Holy Crap!!! Plus, stores can't even keep these things stocked. So sad what this industry has come to. Take me back to the 80's and 90's when you could actually collect toys. Where did you find this? (Walmart, Target, etc.)? Sorry, I was asking where the Pink Sorceress came from? Still haven't seen any near me except at Hot Topic, but somebody comes in as soon as they get a case and buys them all. I bought (preordered) a whole case from an online retailer. JR’s Toy World. Walmarts, Targets, Walgreens are supposed to get them in sometime in early April. So, the flocked versions of Panthor and Battle Cat have started circulating, and for some reason, the flocked cats are ENTIRELY flocked. As in eyes, teeth, everything. BUT, don't you dare complain about it or say a disparaging remark on the TLS Facebook page. That's not allowed, we are supposed to just shrug our shoulders and say "oh well, I'll just deflock those parts myself." At least that's how certain Kool-Aid drinking members of that group feel. Attached some pictures. No big deal, right? Last edited by wayne-klops; March 28, 2019 at 10:14am. Ill take them off your hands! My Buy / Sell / Trade List. Check it out! They're not mine , and yes, you can deflock those areas. I'm just saying, it was either real laziness on someone's part, or a poor cost-cutting measure. Due to the fact that its painted underneath, I imagine it was a huge error at the factory during manufacturing. Not likely TLS is ok with this. I really hope this is resolved. I won’t purchase these as they are. Mind if I ask how many chase figures were in your case? That flocked panthor looks like booty. Where are these showing up? Hot Topic? Sorry, I should have clarified, the pictures I posted are ones I found in the Facebook group to illustrate how the flocked Panthor looks. 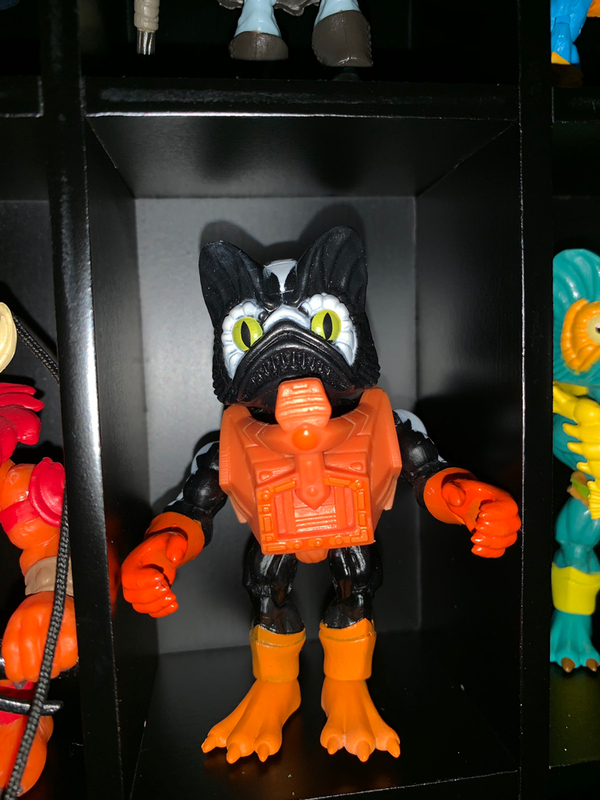 I do not have a Panthor of my own yet, and I have not gotten a Wave 2 General Release case yet. I have one pre-ordered on BBTS, but they're not in stock yet. Also, some have pointed out, you can scrape off the flocking around the eyes and one the teeth, and they are painted properly underneath. Which is fine if you really want a flocked version but want it to look correct. But, we shouldn't have to do that, it should have been done right to begin with. I can even see it not being an issue with Battle Cat, because his head will be covered by the helmet, although I still think it's a lazy way to do it. But certainly this was either a bad decision on TLS's part, or on the factory's part, and I hope they learn from this. There are also supposed to be non-flocked versions of that cats, which at this point will probably be the better quality ones. I had also heard the flocked versions were supposed to be exclusive to Hot Topic, but mistakenly were distributed to other retailers. But honestly, with the final product looking the way it does, if I was Hot Topic, I wouldn't be mad about it! Two. I got the 1/24 standard Sorceress and the 1/96 Pink Sorceress. On another note, does anyone know why TLS figures have never been added to the Toys Catalog here? It has Funko, etc. but no TLS. Is it just a case of no-one having ever volunteered to compile a photo-list of all the variants and retailers? So the ones available through BBTS through preorder: Those should be the standard ones, correct? Because I'd be all about flocked ones, but not like that. I serve up lots of hot, fresh action figure reviews on Action Figure Barbecue! So the flocked ones were supposed to be a Hot Topic Exclusive. but the flocked stock was distributed to BBTS and sold there. TLS tried to get remaining stock back to go back to HT, but I dont know how successful they were. So imo, its a gamble as to what you might get. A number of online retailers like EE and JRs Toy World got some of the flocked ones as well. In fact, I’ve only seen people that already got theirs get flocked ones. I’m not sure if BBTS was one of the retailers that received flocked ones (maybe someone else can confirm), but I’ve had a BBTS pre-order in for months and it’s always said April for the availability. I have not received my cats yet, so I don’t think BBTS has shipped any cats out yet. LOL! It looks like he's turning to the camera with a cheesy, eyes-closed, grin! It's really a night and day difference in the way TLS collectors talk about TLS figures, and the way MOTU collectors talk about TLS figures. Many TLS collectors, those who don't really care what the property is, if it's TLS they're buying it, have lamented the fact that these are no longer in blind boxes. They have lamented people trying to sell the chase figures for lower prices, insisting that their rarity means that the MUST be sold for higher price points. And now I have seen them get troll people who have legitimite concerns about QC issues like flocking over Panthor's eyes and teeth. MOTU collectors who buy TLS figures, at least the ones who post here, are almost the exact opposite. Hated the blind box selling strategy. Hate that there are chase figures that cost $100 or more if you're not lucky enough to get them at retail, especially for essential characters like Sorceress, Randor, and Orko. 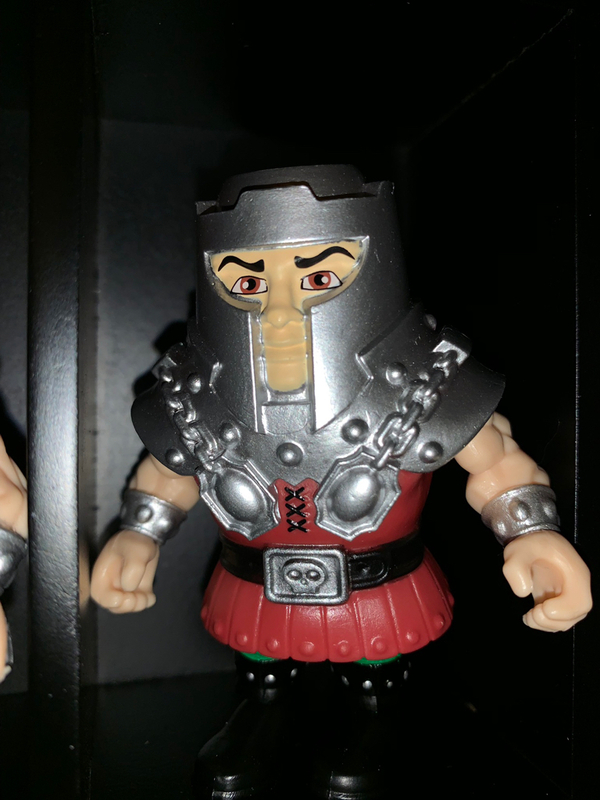 And given the community's feelings towards QC on MOTU figures, I would expect there would not be a positive reception to how they did the flocked Panthor. I believe there are only a relatively small percentage of TLS collectors that have been vocal about preferring the blind box. There’s an element of mystery that can be “thrilling”, and I’ve felt it myself, so I get that. But if you open them up and keep getting the same ones, it’s a hard sell. 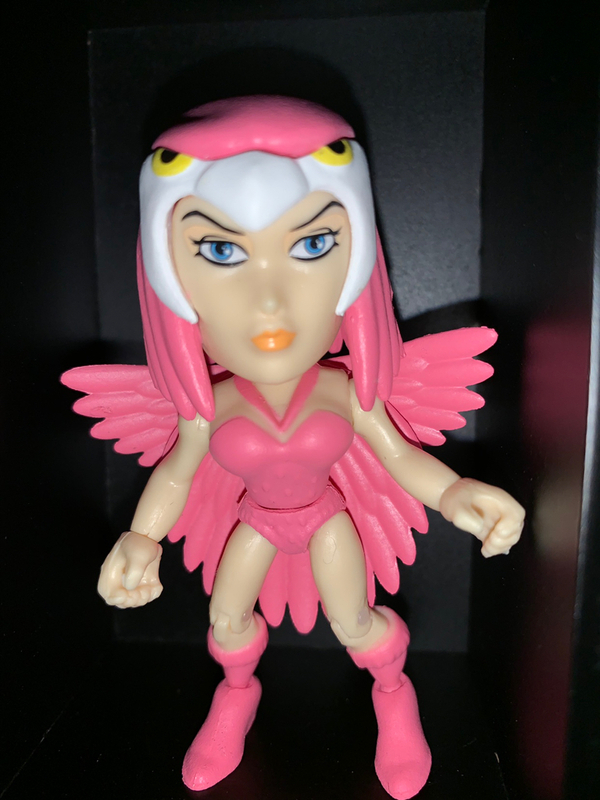 For example, 6 of the first 7 Walgreen’s exclusive T-Cats TLS blind boxes I bought were Tygra. At $12 a piece, I pretty much gave up after that. The owner of TLS stated that they’ve been much more successful with the clear window box (with a few blacked out windows per case) method that they’ve released with more recently. I prefer that way as well. You can pick all the commons you need from the clear boxes, and if you want to take a chance and go for a chase, you can try one of the blacked out ones. Even then, a few chases here and there are packaged in clear boxes too. Apparently this way also reduces the people who rip open the boxes in the store and then leave them sit. I’m part of the Facebook group that I think you’re referring to, and I’ve had nothing but positive interactions, including buying, selling and trading. I think it adds an element of fun to collecting that I didn’t have before. With any group (including here), most of the members are fine, but there are a handful that can be a bit much. That is my experience with that TLS group. I have had good transactions there, and I like being a part of it to find out when new product comes out and which stores it's being found in, and I've also bought and sold successfully in that group, too. Some people are just take the "Loyal" part way too seriously, in my opinion. I mean, there have certainly been Matty apologists and Super7 apologists here (and I'm sure I've been accused of both at times), but there are a few TLS apologists that take it to a whole new level. Again, just my opinion. That’s fair. I love the MOTU and TCATS TLS lines, but I don’t know why they didn’t do a better job with the flocking. They flocked a chase Beast Man without flocking every bit of it, so I’m not sure why it wasn’t feasible. As an aside, I can’t wait for that Game of Thrones line either. Would love to see some more pictures. I have a good chunk of the 2nd wave aside from Orko and Zodac(k). I just ordered a case of these off of Entertainment Earth. I had them pre ordered at BBTS for quite awhile but, since EE had them In Stock now, and it came to about $10 cheaper, I went with them and cancelled my BBTS order. I kept my pre order at BBTS though for Battle Cat and Panthor. And I really hope I don't get flocked versions lol. After a mishap where a few flocked cats went to the wring retailers, it seems that is sorted out and now the flocked cats should only be at Hot Topic as planned. All times are GMT -4. The time now is 10:14am.